Missed part 1? Start here. German-speaking Baltimore Jews organize the Theodor Herzl Zionistischer Verein (Zionist Association), the first German-speaking Zionist organization in America. 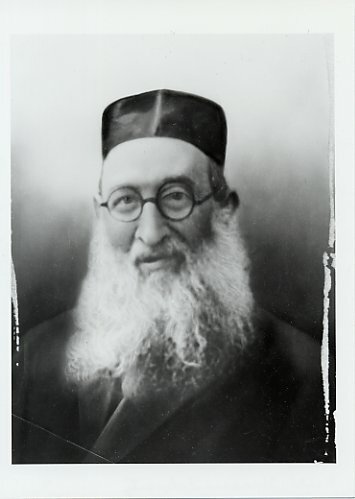 A leading Reform rabbi, William Rosenau, declares: “I believe that one can be a good reform Jew and be a Zionist.” Two of the organization’s founders, Dr. Harry Friedenwald (Aaron’s son) and Henrietta Szold, will play major roles in the history of Zionism, nationally and internationally. 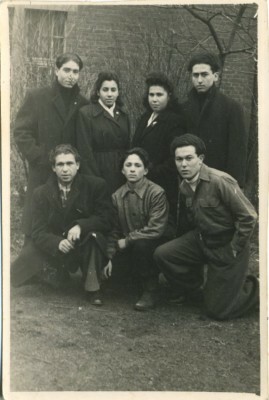 Baltimore Jews also organize Kadima, a vigorous Zionist group that also concerns itself with local Jewish problems, creating a bridge between the Zionist movement and the community as a whole. Dr. Harry Friedenwald (b. 1864) of Baltimore is elected the second President of the Federation of American Zionists, serving until 1917 and as honorary President until his death in 1950. 1996.010.064 – Photograph of Harry Friedenwald, with inscription to Louis L. Kaplan. 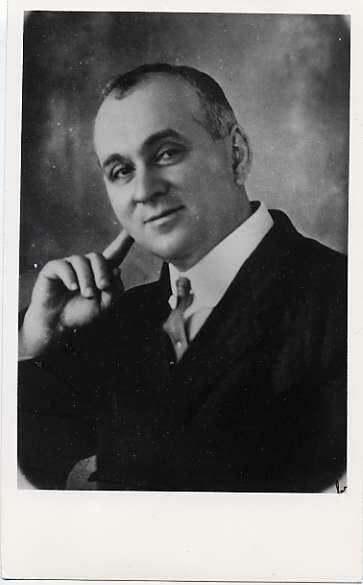 In December, a recent immigrant to Baltimore from Lithuania, Herman Seidel (1884-1969), organizes in Baltimore the first national convention of the Poale Zion (Zionist Workers) organization with 22 delegates in attendance. The Labor Zionist movement supports kibbutzim (cooperative settlements), the labor union Histadrut, and worker-owned businesses in Palestine. Every Friday night, Seidel attracts a crowd to his soapbox on a corner in East Baltimore, where he encourages support for the pioneer working Jews of Palestine. 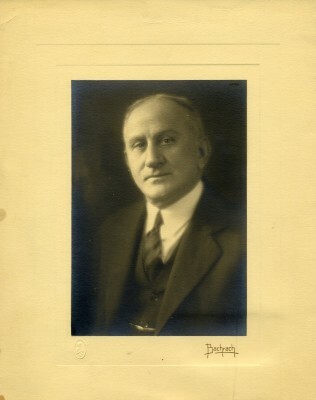 Boris Schatz, courtesy of the Schatz Estate. Sculptor Boris Schatz (1867-1932) founds the Bezalel School of Arts and Crafts in Jerusalem to create a completely Jewish art blending Jewish motifs, Near Eastern design, and art nouveau forms. Jews traveling to Palestine return with the school’s jewelry, rugs, metalwork, and wood carvings, reminders of the Land of Israel. 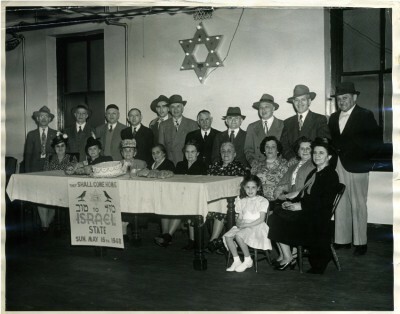 Bezalel products are exhibited at expositions in Baltimore in 1914 and 1931, and also at local Zionist stores such as Fannie Drazen’s in East Baltimore. Henrietta Szold takes her first trip to Palestine, where she is appalled by the health conditions of the Jewish and Arab residents. Upon her return, she organizes Zionist study groups and travels around the United States, speaking about Palestine. 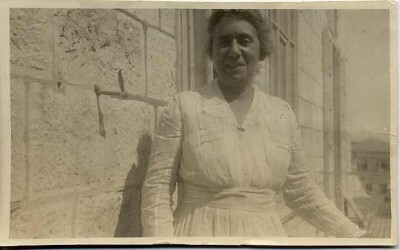 In New York, Henrietta Szold founds and is elected first President of the Hadassah Chapter of the Daughters of Zion. Two years later, the organization is re-named Hadassah, the Women’s Zionist Organization of America. Hadassah funds and organizes progressive health and social services in the Land of Israel which eventually grow into the Hadassah Hospital, while Hadassah becomes the largest Jewish membership organization in the United States. A branch of Hadassah is established in Baltimore in 1913. Baltimoreans gain national attention by sending a thousand tons of food to starving Jews in Palestine. Louis H. Levin travels with the ship S.S. Vulcan to Palestine and supervises distribution of the food. In June, Zionists from around the country gather in Baltimore for a week-long meeting featuring leading Zionist thinkers and speakers. The convention and its distinguished guests inspire mass demonstrations in the City and inspire local Zionist activists and organizations. Great Britain issues the Balfour Declaration on 2 November, declaring that Britain views “with favor the establishment in Palestine of a national home for the Jewish people.” When Great Britain organizes the Jewish Legion to help free Palestine from the Turks, Dr. Herman Seidel serves as a recruiting officer for the Legion in the Baltimore-Washington area. About 90 young Baltimoreans volunteer to serve. The Jewish Legion becomes the first Jewish “army” in modern times. Dr. Harry Friedenwald is appointed chairman of the Zionist Commission, intended to help realize the creation of a Jewish national home in Palestine. The next year, Dr. Friedenwald, Rudolph Sonneborn, and others travel on a medical mission to Palestine. 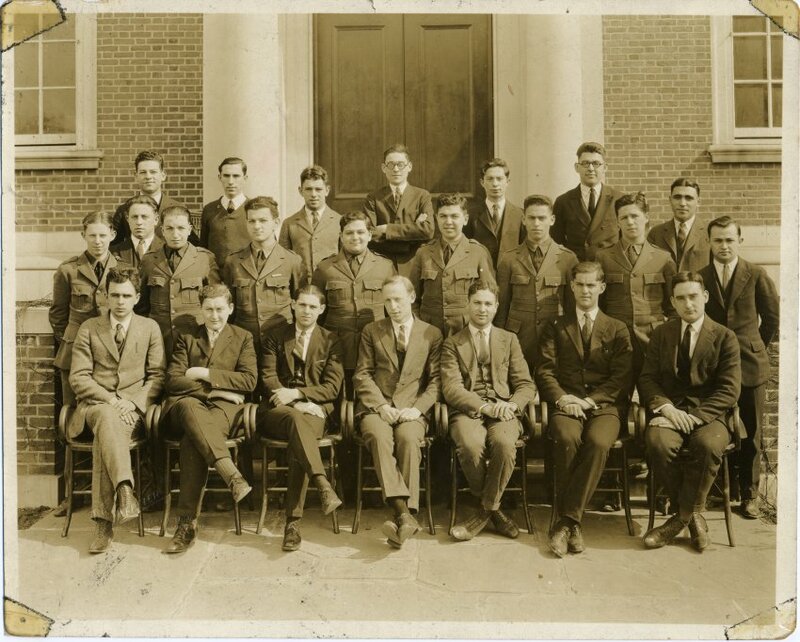 Johns Hopkins University students and faculty organize the Collegiate Zionist Society of Baltimore. The Society holds a weekly study circle and monthly meetings to publicize Zionist ideas on campus and to raise funds for the cause. Professors David Blondheim, Aaron Ember, and Aaron Schaffer serve as faculty leaders and contribute to national college-level Zionist efforts. 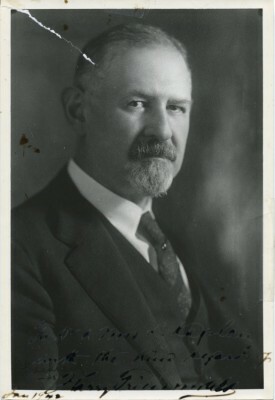 Jonas Friedenwald (1897-1955) serves as President of the Society during his years at Hopkins and later assists with the development of the Hebrew University-Hadassah Medical School. Baltimore establishes its first Jewish National Fund Committee. 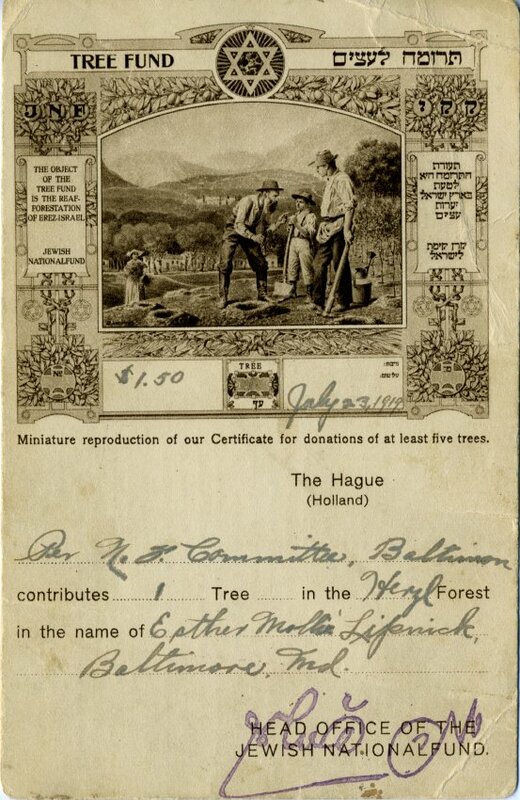 The JNF was established in 1901 to purchase land in Palestine for Jewish settlement. By 1904, it had enough land for its first village, Kfar Hittim. Zionist youth groups establish summer programs, with outings in Druid Hill Park. In the 1930s, the Labor Zionist Habonim and the Religious Zionist Hashomer Hadati share a Severn River shore property owned by Sigmund Sonneborn. Today, Zionist education remains central to Habonim Camp Moshava near Bel Air, where campers speak Hebrew, practice Labor movement ideology, and enjoy Israeli dancing, theater, and arts. Seven women from the Labor Zionists (Poale Zion) organize a Baltimore chapter of Pioneer Women, the Women’s Labor Zionist Organization of America (today known as NA’AMAT USA). Through the years, the organization supports a variety of projects aimed at improving conditions for women and children in Palestine and, later, Israel. In 1972 the group opens a “Baltimore Day Care Center” in S’derot. Today, many Baltimoreans continue to participate in NA’AMAT USA and its mission to support the women and children of Israel. 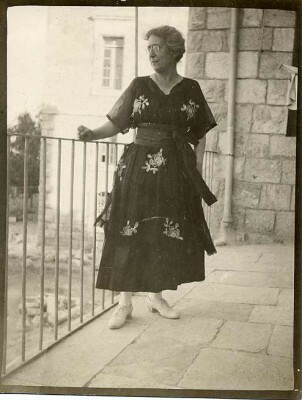 Henrietta Szold, now living in Palestine, organizes and supervises the Youth Aliyah movement to bring young Jewish refugees from Nazi Germany to Palestine. The new organization secures visas, provides transportation, and helps to settle the new arrivals in Jewish agricultural settlements. 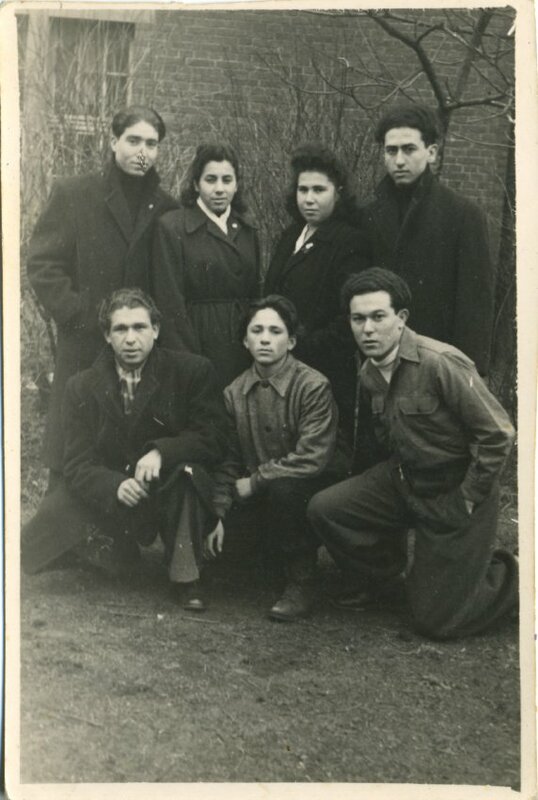 The movement rescues 11,000 young German Jews from the Nazis. The American Council for Judaism is founded primarily by Reform Jews to combat Jewish nationalism and oppose the establishment of a Jewish state. Baltimore philanthropist Aaron Straus (1865-1958) is a key financial backer and Rabbi Morris Lazaron (1888-1979) is one of its ideological spokesmen. On 25 June, Baltimorean Rudolf Sonneborn brings together Jewish industrial leaders in a New York meeting with David Ben-Gurion, then chairman of the Jewish Agency Executive in Palestine. In the 1950s, Sonneborn serves as national chairman of the United Jewish Appeal. The term “Zionism” was coined only in 1890, but for 2,000 years Jews throughout the world have yearned for a return to their ancient home in the Land of Israel. Prayers and rituals refer to Israel’s winds, dew, and rain, the fertility of its soil, and the beauty of its produce. The longing for return and redemption has helped to sustain the Jewish people. In the modern era, longing was transformed into an international movement to rebuild a Jewish homeland in Israel as a refuge and as a center for Jewish renewal. In this movement, Maryland has played an important role. This timeline, based on research conducted by Barry Kessler for the Museum’s Bridges to Zion exhibition in 1998, calls out some of the many events and people who have participated in the Zionist project from the early nineteenth century to the present day. 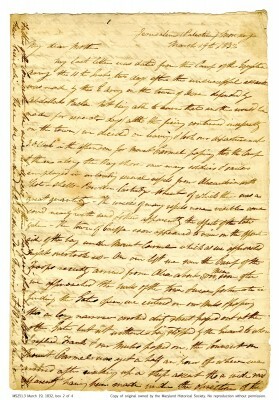 Letter from Mendes Cohen to his mother Judith, from Jerusalem, March 19, 1832. 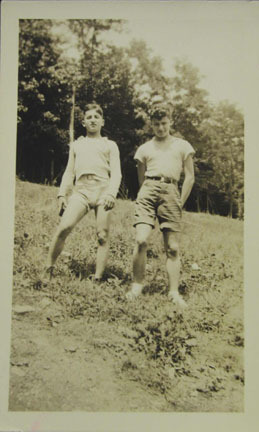 Courtesy of the Maryland Historical Society. Baltimorean Mendes I. Cohen is one of the first American citizens to visit Palestine as part of his six-year tour of Europe and the Middle East. His descriptions of life there, depicted in letters to his mothers and brothers, offer a rare glimpse of Palestine’s Jewish community through the eyes of an American Jew. Jehiel Cohen (in 1847) and Aaron Selig (in 1849) visit Baltimore, appealing for Maryland Jews to aid the poor, the infirm, the elderly, and the scholars of Israel. 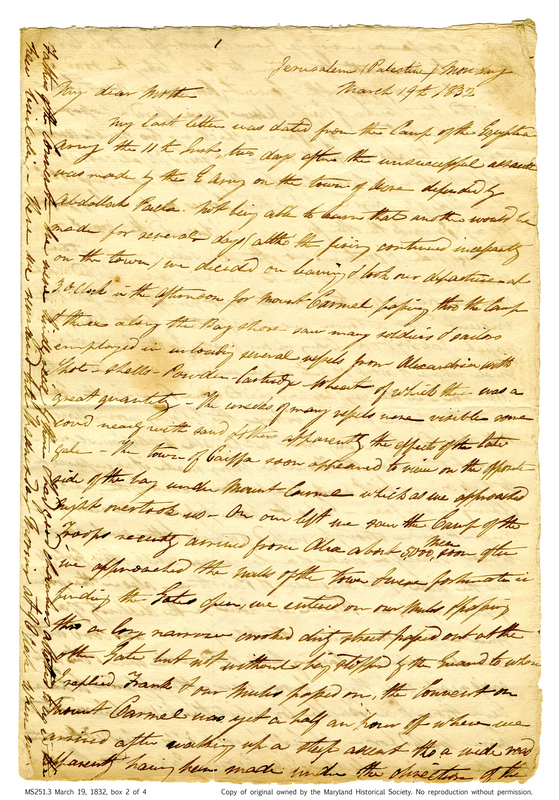 Messengers and letters from orphanages, academies, and other institutions serving the Jews of Palestine represent a tradition of charity that dates back to ancient times, founded on the belief that Jews in the Land of Israel contribute to the spiritual salvation of the Jewish people by their study of holy texts and their presence in the holy cities. Sir Moses Montefiore (1784-1885), a prominent English philanthropist and Jewish communal leader, donates a Torah to Congregation Shearith Israel in recognition of the Congregation’s support for the Jewish residents of Palestine. 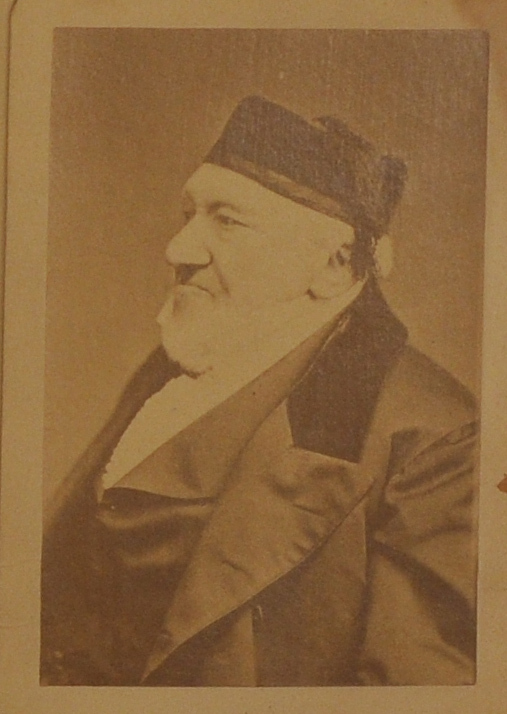 In 1879, Montefiore gives a second Torah to Congregation Chizuk Amuno. Young, intellectual Russian Jewish immigrants form the Isaac Bar Levinsohn Hebrew Literary Society to foster cultural activity among Baltimore’s East European Jewish immigrants. 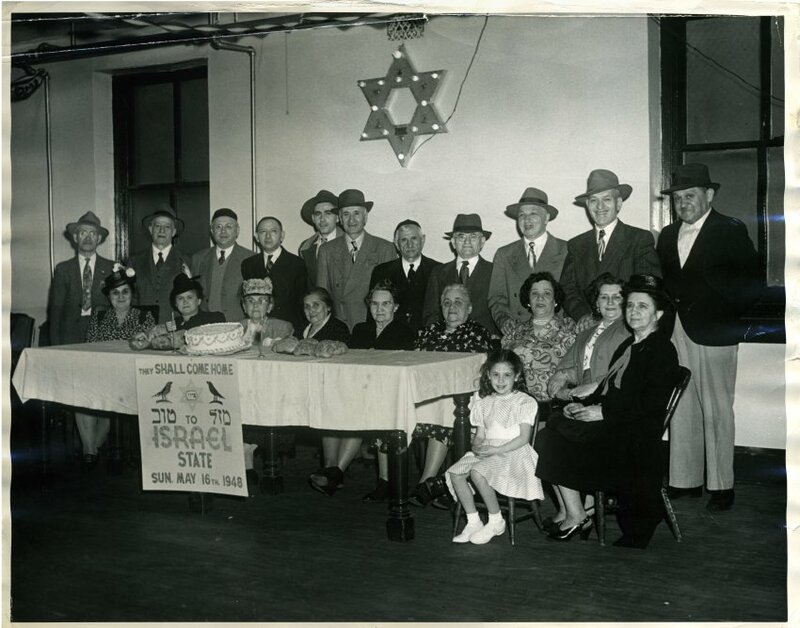 With the support of Rabbi Benjamin Szold and his daughter Henrietta (1860-1945), the Society promotes a variety of cultural and educational activities and serves as an early forum for the discussion of Zionist ideas. The following year, under the leadership of its president, Solomon Baroway, the Society opens the Russian Night School in East Baltimore, one of the nation’s first night schools for immigrants. Henrietta Szold serves as superintendent. 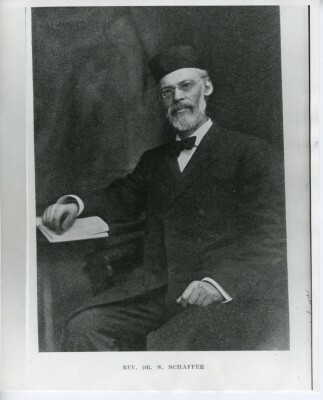 “The very learned, although very young” Rabbi Simon Isaac Halevi Finkelstein founds a branch of Hovevei Zion (Lovers of Zion), Baltimore’s first Zionist organization. In its first year, the organization raises $234.58, of which $48.76 is sent to Palestine, the rest being used for Zionist propaganda in Baltimore. By 1899, a branch emerges in Hagerstown, as well. 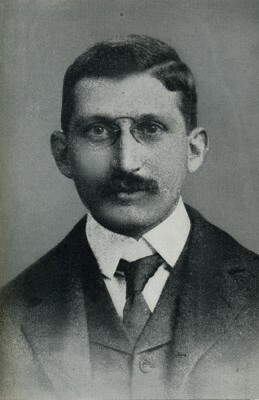 Cyrus Adler at Oxford, 1898. Courtesy of the Library at the Herbert D. Katz Center for Advanced Judaic Studies, University of Pennsylvania, Cyrus Adler Collection. Cyrus Adler, a graduate of the Johns Hopkins Semitics Department, visits Palestine. On his return, he delivers a lecture, illustrated by stereopticon views, that enables Baltimore Jews to “see” the Holy Land, bringing Palestine close to home. Also, Zev (Wolf) Schur publishes his Hebrew-language periodical, Ha-Pisgah, in which he espouses a strongly Zionist view as an antidote to Reform and assimilation. Schur continues to publish in Baltimore into 1892 and thereafter in Chicago. Shavei Zion [Returnees to Zion], an organization that promotes emigration to Palestine, holds a public meeting on 26 May, which is attended by more than 1,000 people. However, calls to return to Zion are undercut by the hardships of pioneer life in Palestine and the opportunities of America. Hevrat Zion (Zion Association) is founded at the Russian Night School with the ideal of rebuilding Palestine. The Association accepts members without regard to their “individual religious and social views.” The Association publishes Dr. Aaron Friedenwald’s lecture on “Lovers of Zion.” The next year, the Association brings to America the famous orator Zvi Hirsh Masliansky (1856-1943), who electrifies audiences with Zionist rhetoric. 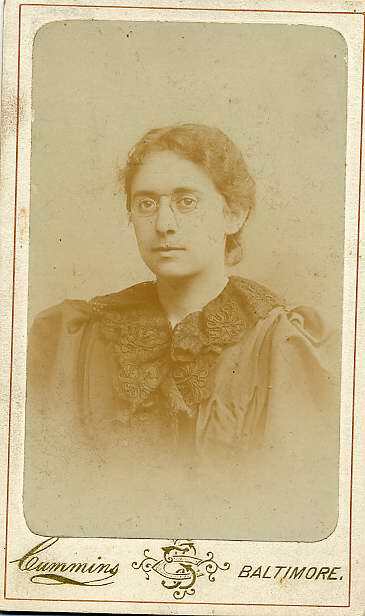 Black and white carte-de-visite of Henrietta Szold when she became editor of the Jewish Publication Society, Nov. 1893. 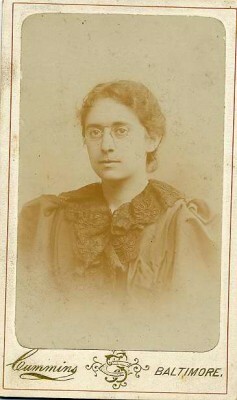 Henrietta Szold publishes “A Century of Jewish Thought,” advocating the revival of the Hebrew language and a return to the Land of Israel as remedies for a divided and de-natured Judaism. Shearith Israel’s Rabbi Schepsel Schaffer (1862-1933) is one of two official American delegates to attend the first World Zionist Congress in Basel, where he represents Baltimore’s Zion Association. The other American delegate is Adam Rosenberg of New York City, who was born in Baltimore. By 1910, Rabbi Schaffer presides over the five-member Council of Baltimore Zion Associations. Dr. Aaron Friedenwald (1836-1902), an eminent Baltimore ophthalmologist, travels to Palestine with his wife, Bertha. 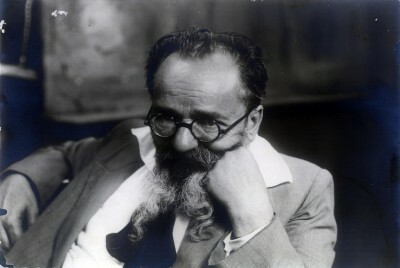 After his return, he speaks in New York and Philadelphia on the regeneration of the land and of the Jewish spirit, predicting that the “center for Jewish thought” in Palestine would “radiate an influence” that would overturn generations of degradation and prejudice. The Federation of American Zionists holds its second national meeting in Baltimore. 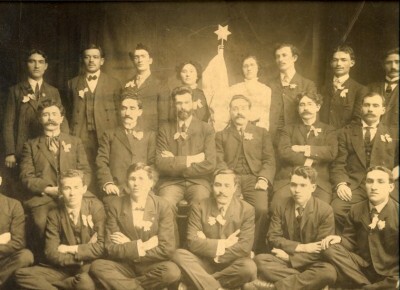 When the Federation was established in 1897, immediately after the first World Zionist Congress, Baltimore’s Zion Association and Ezrat Hovevei Zion were charter members. Among the 19 local delegates are Louis Levin, Solomon Baroway, Israel Fine, and Aaron Friedenwald. Despite Szold’s remark that her trip to Palestine would amount to nothing more than a “stimulating memory without much noticeable result in action,” both she and the letter’s recipient knew that something important had happened to her. Judge Sulzberger, recognizing the letter’s significance, returned it to her for safekeeping. She promptly sent it back to him, with this response, written February 24, 1910 (JMM 1995.206.2). You are right, vanity (or self-consciousness) is next door neighbor to my humility. But I assue you, I did not remember how much emotion I put into the letter I wrote to you – I only remembered that it was the first I wrote about the Holy Land and the longest, and I supposed it to be the fullest of these accounts. Now that I have seen it and some of those I wrote later on to others, I conclude that if it made itself worthy of a better fate than the waste basket, it must have been due somehow or other to the correspondent I was addressing. Here is some more pride – outspoken pride. I have felt so complimented by your having kept it, that I am returning it to you in spite of your waiving your rights in it. I have made a copy of it, for I may want to use some of its points in a book, which I am inclined to think, will get itself written.